In most cases, the decision to approve or deny an employee’s leave request is reasonably straightforward. Has the employee earned the time off? Did he or she follow established procedures for making the request, such as giving proper advance notice? Will other employees be available to cover the work? However, in situations where the request falls under the Family and Medical Leave Act (FMLA), approving or denying time off can get tricky fast. 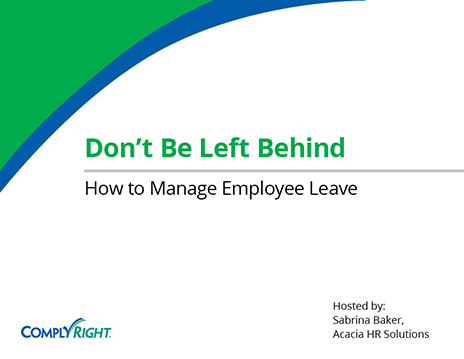 If you find it difficult to manage leave requests under the FMLA — which provides employees the right to unpaid leave for certain medical and family reasons — you’re not alone. Many business owners covered under this federal law find it challenging to determine when they must approve a request and when it’s okay to say no. The decision gets even trickier when more generous state and local laws apply. Managing medical leave requests properly can seem overwhelming, but with a deeper understanding of the rules and a fair approach, you can keep your company in complete compliance. Here are four real-world scenarios to help you stay on the right side of the law. Janet, your recently hired accountant, has just informed you that she is pregnant with her first child. She wants to know if she will be paid during maternity leave and whether you will hold her job while she is out. Does the FMLA apply here? It does if you have 50 or more employees on the payroll (including part-timers). If FMLA does apply, you are required to hold the job for 12 weeks, but the leave can be unpaid. Does Janet meet eligibility requirements? Under FMLA, the employee must be with the company for more than a year. In this case, Janet does not meet FMLA eligibility requirements because she has been at the job less than 12 months. Do local laws apply? Many states, cities and local governments have passed laws that give employees expanded leave rights over and above federal law. The laws may apply to smaller employers, provide longer leave periods or even require paid leave instead of unpaid leave. If laws conflict, you must go with the one that is most generous to the employee. Any other things to consider? The Pregnancy Discrimination Act requires you to treat Janet’s request like any other leave of absence, for any other reason, under company policy. That means her pay and benefits, eligibility, length of permitted time off, status during time off, reinstatement, the need for medical documentation and return-to-work releases should be consistent with other types of leave. 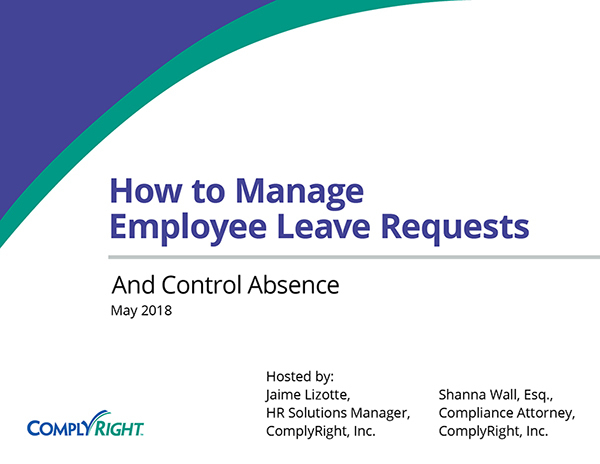 Managing medical leave requests properly can seem overwhelming, but with a deeper understanding of the rules and a fair approach, you can keep your company in complete compliance. Frank, the warehouse coordinator, has been with the company for eight years. Frank mentions over lunch with a few managers that he is tired from all the driving he’s been doing taking his son to physical therapy appointments. His supervisor, Susan, is part of the discussion. But it’s her last week with the company, so she isn’t too concerned with Frank’s attendance. She knows he’s been missing a lot of work, but she trusts that Frank will get his work done, so she doesn’t address it. A few weeks later, Frank’s new supervisor writes Frank up for excessive absences and demotes him to a part-time schedule. Did Frank give enough information to indicate that his absences might be protected under the FMLA? Yes, by law, he did. Just by mentioning it in conversation, Frank gave sufficient information to put the company on notice that his absences might be protected under federal law. What should Susan have done? The correct response would have been to recognize that Frank’s absences could potentially be covered under the FMLA and report it. Managers and supervisors need to be trained to spot potential FMLA-qualifying absences. And any situation of potentially protected leave must be reported to HR or a senior manager. 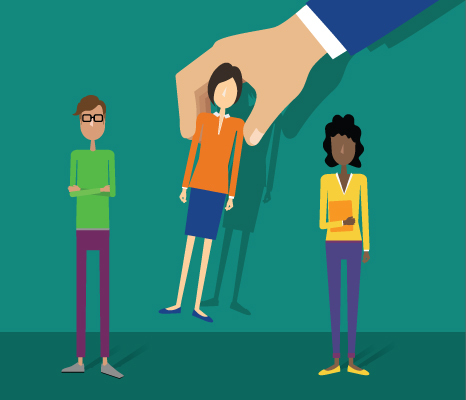 Finally, reporting procedures should be included in your employee handbook. What could happen now? Frank’s demotion and reduction in pay based on his absences could give rise to an FMLA lawsuit against the company. Your office manager, Lisa, has chronic back pain and starts missing work due to flare-ups. She’s an “eligible employee” under the FMLA, so you provide her the proper FMLA notices and a medical certification form so you can determine whether the time off qualifies for FMLA leave. She returns the medical certification on time. When reviewing the form, you see that under “Frequency” the doctor wrote “unknown,” and under “Duration” the doctor wrote “indefinite.” Should you designate her absences as FMLA? Can you request more information? Yes. You have the right to get an explanation of the frequency and duration of Lisa’s leave from the doctor. How should you proceed? You should give Lisa at least seven days to resolve it on her own, and then you may contact her healthcare provider for more information, with Lisa’s authorization. Note that contact should never be made by the employee’s direct supervisor. Instead, have your human resources specialist or leave administrator, a senior manager of the company, or another healthcare provider make the call. Can you verify other details provided? You have the right to seek clarification or authentication of the information provided — but don’t go beyond what’s asked on the form. For example, you can call the doctor to confirm the answers to those questions, but you can’t ask other questions about the employee’s medical situation or personal data. Bob, a sales associate, is on FMLA leave for hip surgery. While he’s out, you discover in a routine audit that Bob was entering false sales to boost his commissions, essentially having items shipped to friends and returned once he was paid his commissions. The scam was going on for several months before his surgery, and he received a lot of money in unearned commissions. Can you fire him even though he is on job-protected FMLA leave? Can you fire him? Yes. You have the right to discipline or terminate an employee for a legitimate business reason unrelated to the FMLA leave or health condition. What should be your approach? It’s critical to conduct a proper investigation supported by thorough fact-finding and documentation. This will help your defense in an FMLA lawsuit. It’s a best practice to consult with an attorney if you’re considering firing someone who is on protected leave.